There’s a new, little-known scam doing the rounds that is designed to empty your bank account. It's called SIM swap. 2 Circles takes Fraud very seriously and we are always changing our internal processes to maximise customer security, the first very simple rule being: Know your customers! I hope, that by writing this article, we can raise awareness of the issue, as the rise in telephone banking, without the mirrored rise in security levels means that customers are at risk. Fortunately this type of fraud has not happened to any of our customers, but it has happened to a friend of one of our team, and they lost £1,000 over the weekend. What happens is that Fraudsters call your mobile network provider to arrange a swap of your number onto a SIM within their possession. In order to avoid any disruption to your service, they also swap your SIM onto a new number. Once they are in possession of your telephone number, they then access your online accounts and request a new activation or password to the registered mobile number and immediately have access to your Accounts. You will normally have a short period of downtime whilst the swap takes place that can easily be mistaken for loss of signal. The victim I mentioned only noticed anything was wrong when, by chance, he met with a friend and confirmed he hadn't picked up his calls that day was because he had been called from another number. He called his provider, EE and they advised he had requested a SIM swap!! • Beware unsolicited calls, texts or emails asking for personal or financial information even if they appear to be from your bank or reputable company. • Do not open or forward emails that you suspect might be spam and never enter your details in a link. • Ensure you have the most up-to-date software installed on your computer, including anti-virus protection. Some banks offer free security software: check your bank’s website for details. • Don’t turn your handset off in response to a flurry of nuisance calls. This can be a ploy used by fraudsters to delay victims noticing a loss of service when a SIM is swapped. • Be careful what personal details you share on social media since fraudsters can use these to anticipate likely answers to security questions. • Check with your mobile or landline provider about what additional security they can put in place to prevent your number being diverted without your permission. • If your mobile phone service stops unexpectedly, notify your bank. When Emma Franks’ mobile phone stopped working she assumed there was a technical problem and called her provider, Vodafone. To her surprise she was told that her sim card had been changed. 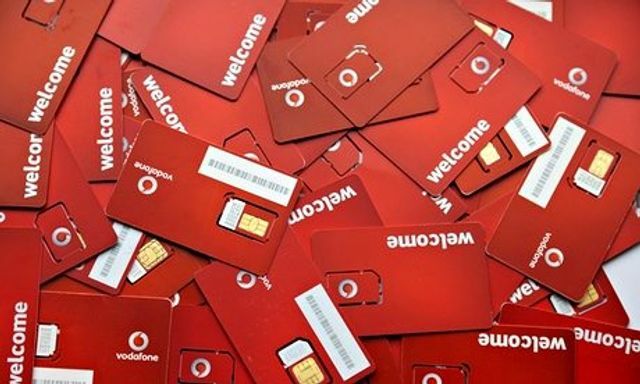 It was two days later that Vodafone realised that sim card changes can’t be reversed and gave her a new card. Service resumed for three days, then stopped. Franks discovered that for the second time her sim had been changed without her knowledge. The following day, £1,500 vanished from her bank account. Franks had fallen victim to “sim swap fraud”, a new and little-reported scam which overrides the additional security introduced by banks to protect customer transactions. Fraudsters can complete cash transfers from a stranger’s account by accessing one-time pin codes and SMS notifications.